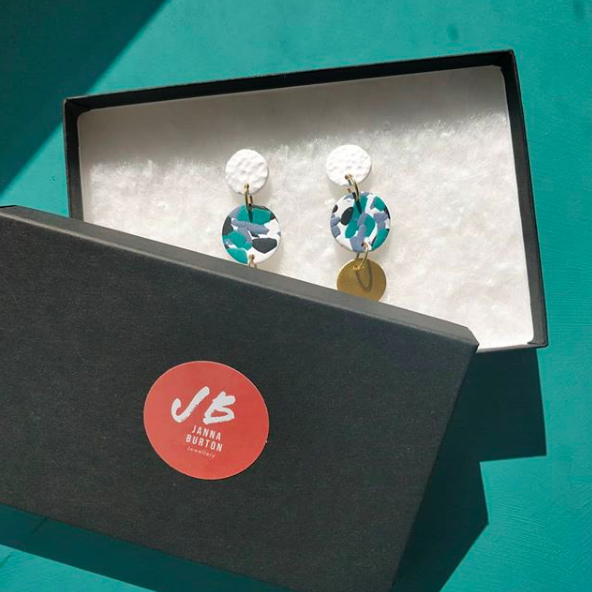 Janna Burton Jewellery creates original statement pieces for people who want to add a touch of colour to a casual look. 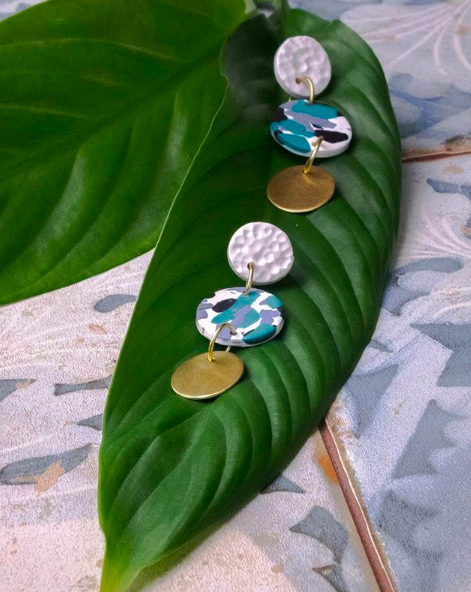 Inspired by her love of combining textures and colours with minimalist designs, all jewellery is handcrafted by Janna in her studio in North London. All made from a mix of brass, clay, cotton threads and leather to create a unique statement piece. Clay colours are mixed, rolled flat and texture is added before shaping. Raw brass sheet is cut, shaped and smoothed down before being brushed for a relaxed shine. Cotton threads are wrapped and tied, combed through and cut to size to create tassels. Finally, raw brass wire is curled and cut into hoops to join everything together.